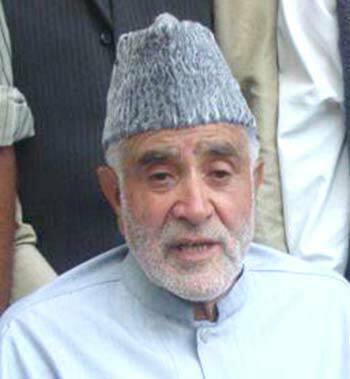 A veteran congressman and sitting member assembly from Surankote, Chaudhary Muhammad Aslam, passed away at the age of 70 on June 15. Maternal uncle of Forest Minister Mian Altaf Ahmad, Ch Aslam was ailing from last three years following paralytic attack. He was undergoing medical treatment. And during the same time, he wasn’t able to make for Assembly and party functions. He is survived by wife, son and three daughters. Thousands of people including senior Congress leaders and officials thronged to his residence to pay their homage to him. Born in 1944, Ch Aslam belonged to village Lassana in Surankote. He did his matriculation from Government High School, Poonch before going to Aligarh Muslim University to study further. The deceased congressman was the son of a prominent Gujjar leader, Ghulam Hussain. His father had formed Gujjar Jat Conference for the welfare of Gujjar community and common people. After partition of India and Pakistan in 1947, family of Ch Aslam crossed over to Pakistan administered Kashmir (PaK) but returned to Poonch in 1951. Following the footsteps of his father after returning from Aligarh, he joined politics. He fought elections in 1966 from Surankote defeating Syed Jamat Ali Shah, who had won elections unopposed for 13 years from the seat. Ch Aslam joined Congress in 1966 and contested eight elections from Surankote. He was also member of Rajya Sabha. He remained Speaker in the State Assembly for eight years. Various political parties and social organizations condoled his demise by expressing solidarity with the bereaved family. Offering his condolence to the bereaved family, NC Party President Dr Farooq Abdullah has said that late Aslam’s work and contributions towards his community would be remembered with appreciation for a long time to come. NC Working President and J&K chief minister Omar Abdullah also condoled the demise of Ch Aslam by saying that late Aslam was one of the most accomplished Congress leaders in the state and had dedicated his life to the service of the nomadic Gujjar community. During his political career of over 48 years, Ch Aslam held important posts including Finance Minister of State, Education Minister, Speaker of Legislative Assembly, Member Parliament in Rajya Sabha, and vice chairman of Gujjar Bakkerwal Advisory Board. He remained J&K Pradesh Congress Committee chief for 17 years.